Clementine and Lunar Prospector: The New Wave in Lunar Exploration? 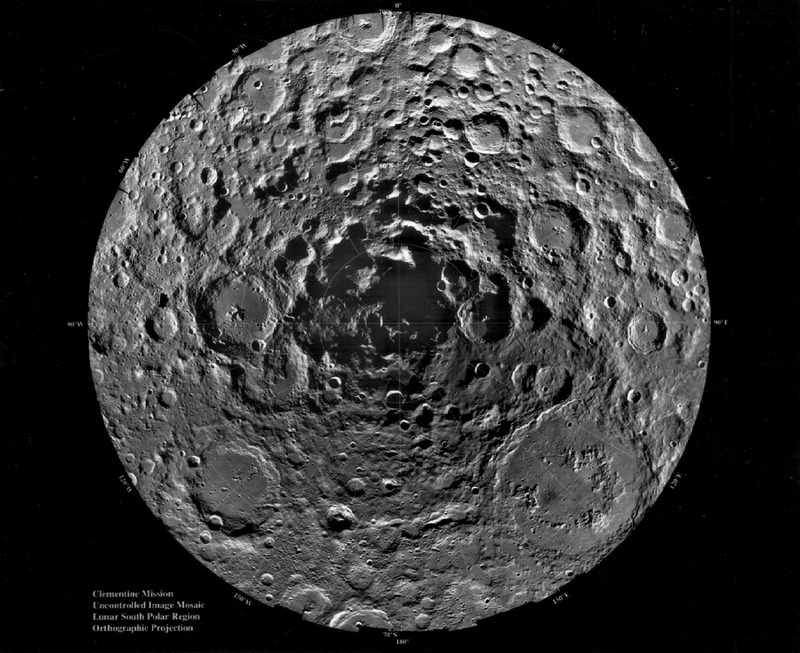 Recently interest in the exploration of the Moon was re-ignited by a news release that water had been detected at the Lunar south pole by the Clementine probe (see image above for location of that site!). But, typical of the way that the news media covers these sort of things, not a peep was heard again about this until the Lunar Prospector probe was launched this past year. What's the deal: Why is there water on the Moon? Is that all the Lunar Prospector was sent to find? And what are these probes, anyway, and what did/do they do? Fortunately, NASA and other agencies maintains extensive web information on both of these probes in their websites: http://www.cmf.nrl.navy.mil/clementine/clementine.html for the Clementine probe and http://lunar.arc.nasa.gov/ for the Lunar Prospector program. So, what we're going to do as a class is do a little research on both of these probes and programs, to see why they happened and what they hope to find out. 1) What organization launched the Clementine probe to the Moon, and when was it launched? 2)Where exactly did it find this water (what sort of land feature was it looking at)? 4a) When was the Lunar Prospector launched, and what sort of rocket did they launch it with? 4b) How big is the Prospector, and what are its main observational tools? 4c) How long did it take Prospector to get to the Moon? How long after it arrive did it start to make measurements? What was it doing during this time? 5) Outline the mission objectives of Lunar Prospector - what is it supposed to do for our understanding of the Moon that the Apollo missions didn't or couldn't do? 6) Did Prospector find more water? If so, where, and how much do they think there is?